Clothing Tall Men: Custom Shirts for Tall Men : You'll never look back! Custom Shirts for Tall Men : You'll never look back! A recent trip to Stockholm reminded why it is one of my favorite cities. Apart from the extremely expensive beer and a long dreary winter, the city has pretty much everything going for it. It's a fabulous place to visit in summer and, more relevant to this blog, Sweden has some great clothing options for tall men, including the rather delightful tall store So Long Sven. 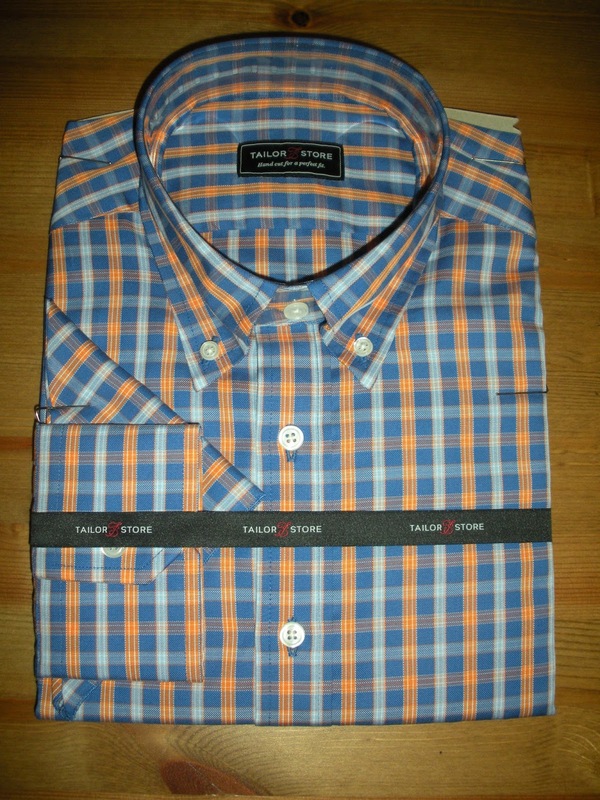 One of my best Swedish discoveries is the online custom clothing store (un)imaginatively named Tailor Store. Custom clothing promises to make a real difference for those of us tall men, or indeed any men, who find that typical store sizes don't fit well. Which must be anyone over about 6'4"! 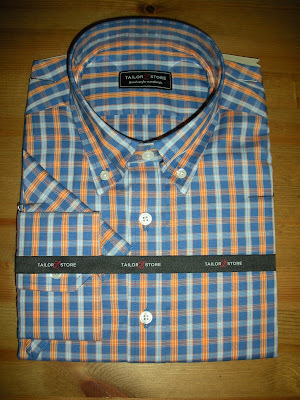 While I have tried shirts from a few different sites (and I'll write about them too when I have time), Tailor Store has become my first go-to place for shirts and I have ordered more than half a dozen in the last few years. 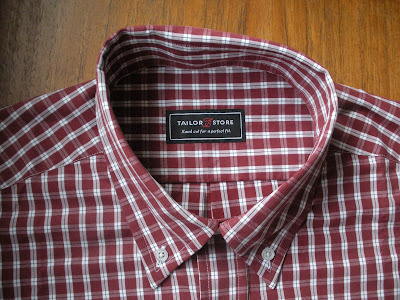 All sites make a great thing about the simple process of designing your shirt. 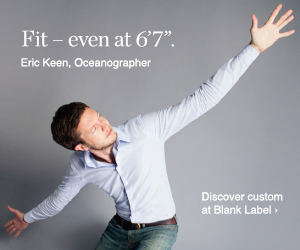 Still, the ones that take more measurements should offer a more personalised fit and Tailor Store requires ten measurements to ensure you get a great fit. Once these measurements are stored, ordering a new shirt is as easy as choosing a pattern and a style before buying but first time round, it took me (and a helper) about 15 minutes to measure carefully (twice!) each of the ten measurements that are required for a shirt fitting. This is probably my background as a scientist showing through but fifteen minutes is not a big commitment to get a well fitting shirt. Keen to ensure that the shirt was long enough I was generous with the length measurements "just to make sure" and ordered a fabric that was on sale to minimise damage to my wallet in case of disaster. I went too far on the length but luckily, this was not a problem . . .
Any good custom clothing store should help in case of fitting problems and Tailor Store is no exception. They do not offer telephone customer service but I had a very quick and efficient email exchange with a lady in Sweden including sending photos of how the shirt looked on me. She suggested a few changes to the measurements I had used, and although the shirt was wearable (I still wear it now and it never comes untucked! 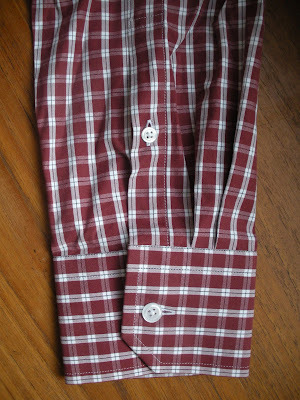 ), Tailor Store agreed to credit my account to get another shirt made, which I duly did. Since then, I have made a couple of orders of three shirts at a time - mainly to take advantage of 3 for 2 offers. Having a shirt that actually fit me was a new experience - be warned, you may also find it difficult to go back to off-the-rack shirts afterwards! Since I am tall and fairly slim, even the best 'extra long' shirts basically had a short body, sleeve about right and too much material around the body. A shirt that actually fits does not have extra cloth flapping around and the silhouette in the mirror is actually me, not my shirt. The ordering process with Tailor Store was pretty smooth and the shirt designer gives you a good visual display of what you are getting. This is important if you want to get creative with elements like contrasting stitching (e.g. 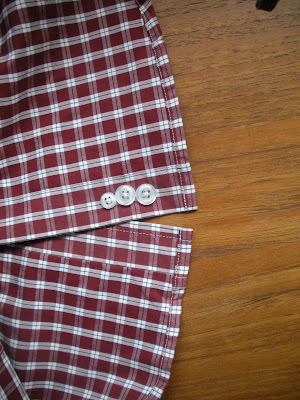 dark stitching on a white shirt, which seems to be popular at the moment) or different fabric for collar or cuff lining. Using those options you can create a shirt with all the features of a fancy designer shirt without the price tag or, of course, the label. However, at least for the first couple of times, I would keep it simple and focus on the cloth and the fit. Some photos below show the details of the shirt, including the stitching around the cuffs and button holes that are a good indication of quality. 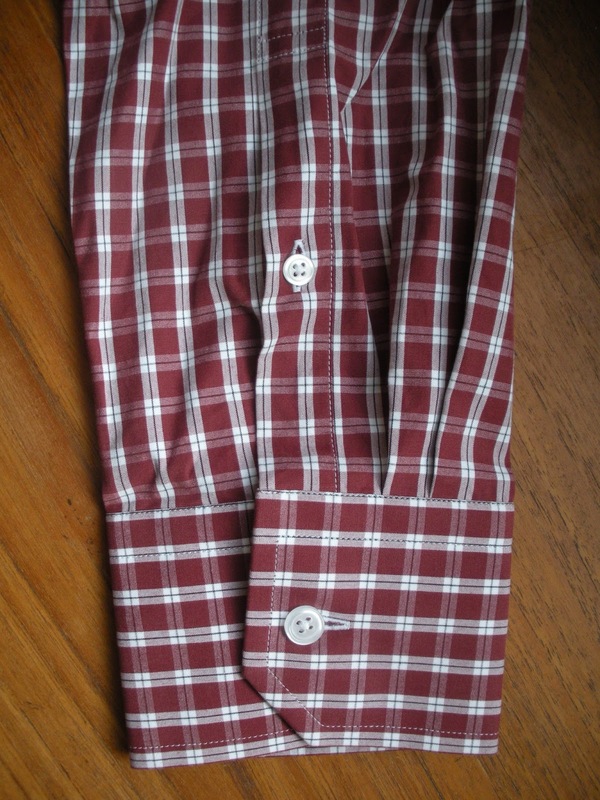 There is now an increasing number of online custom clothing stores and I have used several with reasonable results, including Blank Label and Modern Tailor but Tailor Store is one that I keep coming back to for shorts for a few reasons. 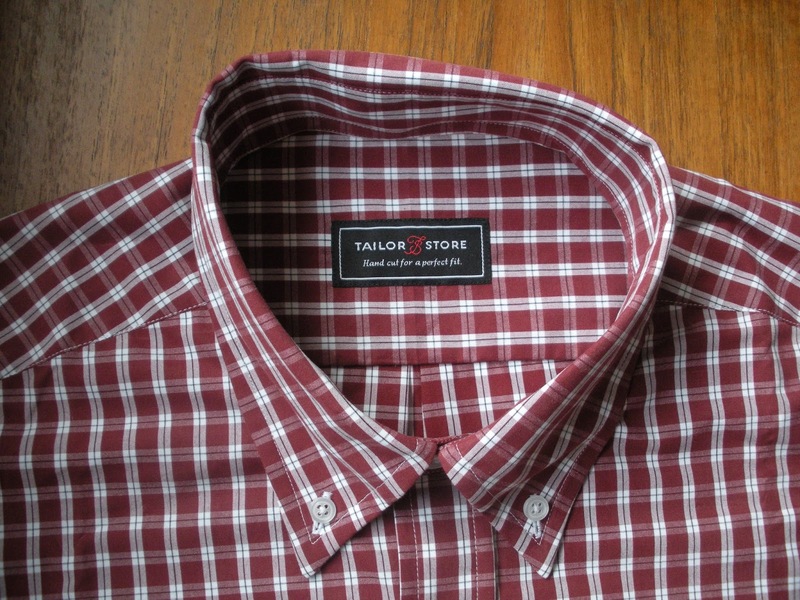 Firstly, while you can find cheaper (and more expensive) options, the selection of fabrics and the overall price at Tailor Store offers a good mid-range selection. 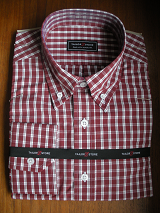 You can choose an entry level shirt and the quality will be reasonable. Secondly, and important for me, is the company's commitment to take "social and environmental issues into consideration", including working conditions and environmental sustainability. I would rather that some of the price of my shirt is going towards reasonable pay for workers rather than a cheap shoddy garment with a trendy label. 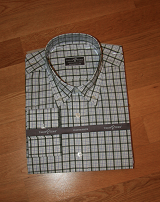 Thirdly, there is a good range of styles and the site lets you see what you are getting - I have tried to use some other custom shirt stores where the measurements and choices are arcanely complicated and you do not feel confident that you will get the right thing. To me, the whole point of custom shirts is that you get exactly what you need. For that reason, I am a bit suspicious of sites for shirts that take one or two body measurements and use these in a 'unique proprietary sizing system' (or similar jargon) to fill in the rest of the measurements. However clever the system, it is not measuring you and the chances are you will end up with the same problem of a shirt that is not an ideal fit. Measuring ten different things may seem like more of a hassle but once you have got those measurements right, you will get a perfect shirt every time! (as long as you don't grow, shrink, or otherwise change proportions). I am a convert and while I still buy shirts off-the-rack when I see styles I really like and which fit, most of my work shirts and casual shirts are now ordered in custom sizes. It's actually easier than trailing round the shops or half a dozen web sites to find a single thing that looks OK. It's worked well for me but I'd love to hear from anyone who has had their own experience, good or bad, ordering custom shirts. Is this the future for tall men's shirts?